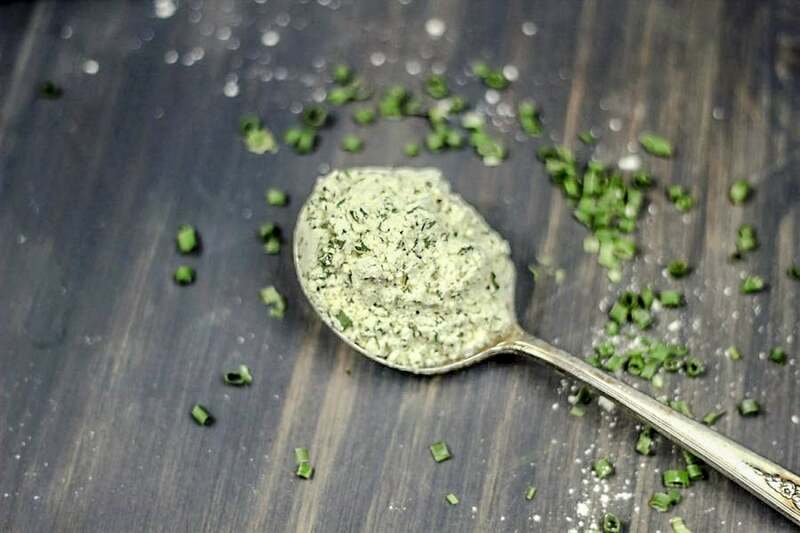 Skip over that store-bought Hidden Valley Ranch packet and make homemade ranch seasoning. 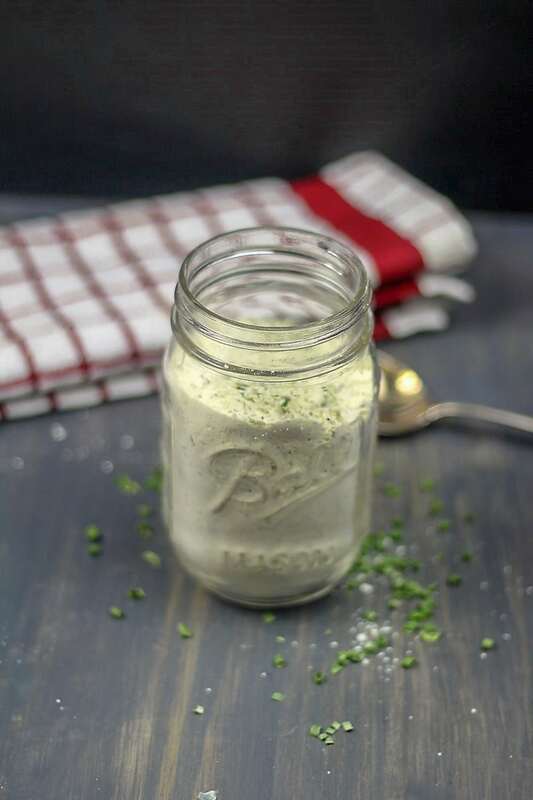 This recipe makes the best homemade ranch dressing, just add some fresh buttermilk and its the perfect finisher for a salad topped with your favorite veggies. When making dressing, you can chill 30 minutes to thicken. I have been making my own copycat Hidden Valley Ranch packet recipe for a while now, and I love it. 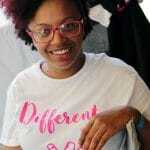 What is ranch seasoning made of? 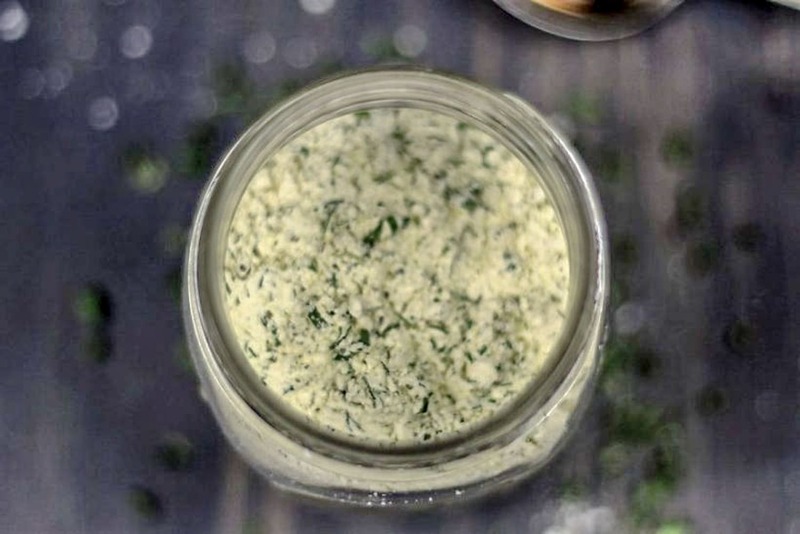 I know exactly what ingredients are in it, the powdered buttermilk, dried dill weed, and dried chives, all of which you can get right at the grocery store, add the right amount of ranch flavor to all of my favorite dishes! If you haven’t tried Crack Chicken, or my Crack Chicken Soup they are both a must make and uses this homemade ranch dressing mix! So this all happened out of a mistake I made. I was in the kitchen cooking away, and I go to reach for a packet of ranch and I had none. My food was simmering away, and I knew I didn’t have time to run to the store. So I hopped online, grabbed a recipe and to my amazement it all tasted amazing! I then later went back in and tweaked the recipe to fit my needs, and so it would taste similar to the Hidden Valley Ranch packets we love so much. I found the homemade version takes not even five minutes to make, and you will have enough for a handful of times using it. Store in an air-tight container and you will be good to go. How many tablespoons are in a packet of ranch mix? All you need is 3 tablespoons of this seasoning to equal 1 hidden valley ranch packet. Plus the recipe yields 12 ounces or about 5 ranch packets. A total money saver if you ask me, and I’m sure it is much healthier this way. All you need is a few ingredients, most of which you will find on your spice rack. I thought I would have a hard time finding dried buttermilk, but nope I found it right at my local Walmart. Once I had all the ingredients I whipped it up, and got to cooking! 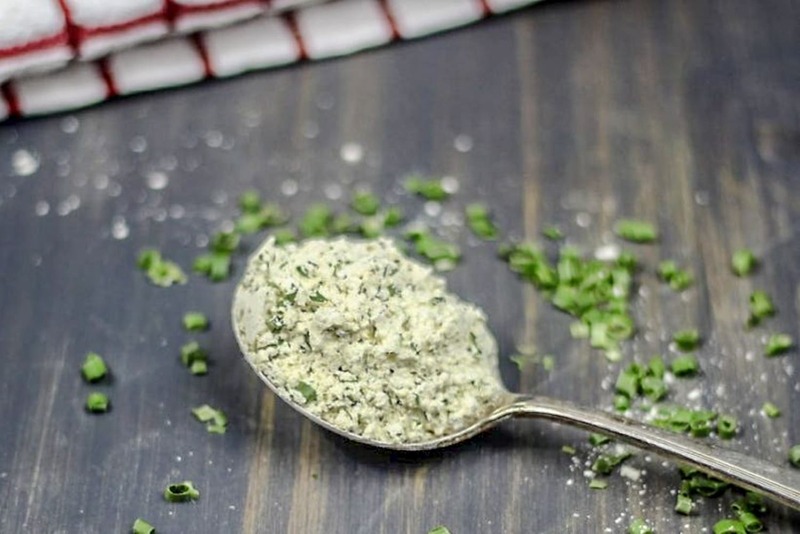 Once you have made this Copycat Hidden Valley Ranch Seasoning you will never get store bought again. You can mix with buttermilk for to have the great taste of the hidden valley ranch dressing recipe, with yogurt or sour cream to make the flavorful hidden valley ranch dip recipe and I bet you could even make up your own hidden valley ranch recipes. If you want a dip to check out this Greek yogurt ranch dip. Great for chips, or crisp veggies. Good for parties and potlucks. Instant Pot crack chicken is the perfect meal to serve your family. Let’s just say it is one of the most addictive recipes on my blog. Serve up this copycat Bacon Ranch Suddenly Salad at your next dinner, and watch your family swoon over the freshness and flavor. Bacon Ranch Chicken Foil Dinners are the perfect weeknight meal to serve your guests! Easy, flavorful, and kid-approved. Here is a loaded bacon ranch potato salad that is anything but boring. Bold rich flavors in every bite. This will be the talk of your dinner. 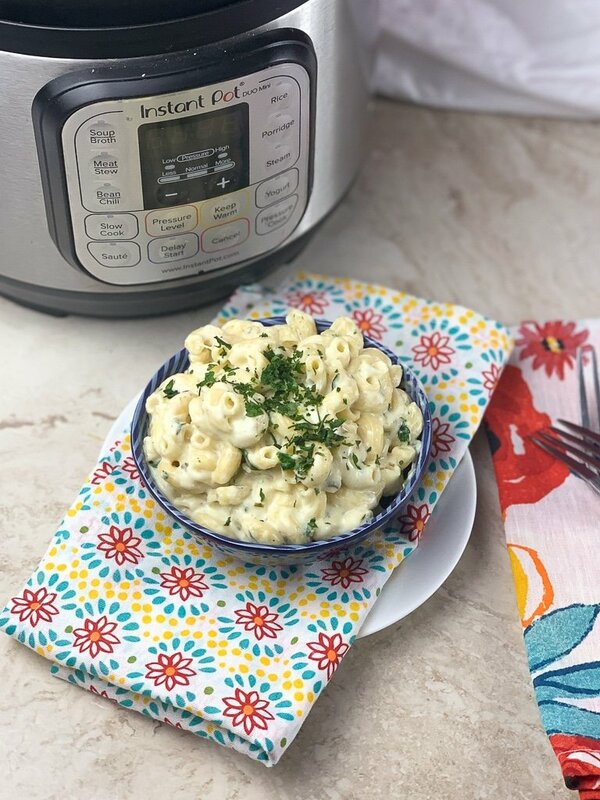 Instant Pot Parmesan Ranch Mac and Cheese is a great Instant Pot side dish that will transform that boring mac and cheese into a show-stopping side. Game-day food to the rescue with these buffalo ranch Instant Pot wings. You get the heat from buffalo and coolness from the ranch! How long does Hidden Valley Ranch last? You can store this mix in your fridge for about a month, make sure it is in an airtight container. I like to use a mason jar, but mine never lasts that long, I use it in everything, potatoes, mac and cheese and so much more. 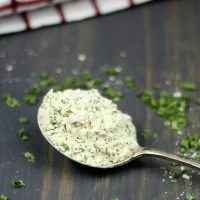 This homemade ranch seasoning would totally fall under the keto guidelines, with only 1 carb per half TBS it will become a go-to for seasoning your food, it’s also very low in calories only 8 per serving. I decided I needed make my own ranch to make Crack Chicken, so I came up with this Copycat Hidden Valley Ranch Seasoning. Mix all ingredients well and store in a tightly closed mason jar. I think that the packets of Hidden Valley Ranch actually have the equivalent of 2 tablespoons in them. I had a question similar. The recipe says 1 T. But the article says 3T. How do u make ranch dressing from this? So, is it 1 T or 3 T. for the mixture in the jar to have on hand. For as much of this as I go through I needed the secret to make myself! This sounds like a “must have” in my recipe book! I had never heard of crack chicken until I got my pressure pot a few weeks ago and realise this is a “must taste”! Here on the tip of Africa we don’ have dried buttermilk. Do you think I could use dried milk, or dried onion soup instead? All suggestions welcome! Thanks! Thank you so much Pink! I have experimented using powdered milk plus fresh lemon juice. A little sample seems to taste pretty good – roll on dinner! No problem Kathy, I am glad to help. And thank you for reading my blog! Thank you for this recipe! I didn’t notice when I first printed the recipe, but looking at it today, I noticed that the instructions have no equivalent amount listed with the Tablespoons. I had to come back to this page to find out from the instructions above. How would I use this to make ranch dressing? I add it to a little buttermilk, I really don’t measure, I think maybe 2 TBS of the seasoning to 1 cup of butter milk. You can add more to your taste. Thanks for the recipe. I can’t have garlic so I’m always missing out on a lot of things. I’m going to leave it out so while it might not be as good to anyone else, it will taste great to me! Question…can I just add a homemade ranch-type dressing I made for my salads in this recipe and decrease the liquid even more? Why do I have to add a DRY “ranch” dressing? I’m not sure what you mean, this recipe is to make a dry ranch. What brand of dry buttermilk do you use?